My last blog took a quick look at the fundamental OO rule that states that class names must be a noun. It highlighted the problem that even if you apply it correctly you can still end up with badly named classes and is partly a result of trying to apply the flimsy and lax rules of the English language to the need for precision in software development. The question is, what are we trying to achieve when we name an object? This may sound like an unlikely question as naming objects isn’t a rare occurrence; it’s something we do everyday. Bob Martin in his book Clean Code states that the name of an object should “reveal its intent”, which broadly means that it should tell us why it exists and what it does. As an example, if you’re reading someone’s code and you come across a class named A, then like me, you’d be completely confused. What does class A do, why is it there? There’s no way you can work this out from its name; its intent is completely hidden. Now that’s an extreme example, but I’m sure you’ll agree that there are examples of class names which sound plausible, but aren’t all that clear. In my last blog I gave an example of a class named XMLDataProcessor and said that it was badly named. It fits the ISA noun rule in that you can say ‘a XMLDataProcessor’, but it doesn’t reveal its intent: which XML data? From what feed? And the word ‘processor’ tells us it’s doing something, but what? And anyway, isn’t ‘processor’ a weasel word? In knowing what category an object belongs to, you can therefore figure out its intent (why it exists and what it does) and in knowing its intent you can come up with a really good name. For example: Account, Customer, SalesManager etc. 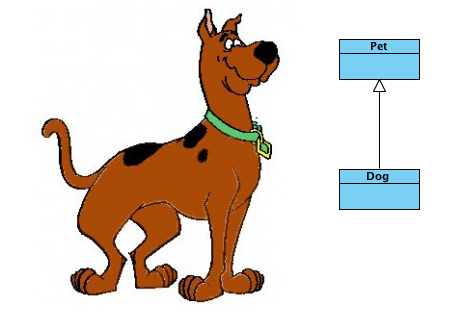 A key programming concept that depends upon our underlying ability to discretely classify objects. In summary, classifying objects is something we do everyday not just in our jobs, but also in our real lives too; it’s an involuntary reflex like breathing and is at the heart of good object design. But it only goes so far when deciding how to name objects and there are other techniques available, so in my next blog I’m going to take a look at CRC cards and consider if they’re all they’re cracked up to be. 1Wegner, P.1987. The Object Classification Paradigm in Research Directions in Object-Gilented Programming. MIT Press.